Your skin is your body’s largest organ, and it reflects your outer prosperity and your inner health. At Healing House in Scottsdale, we believe that your skin should be valued and cared for just like you were royalty. And we also believe that your luxurious, holistic facials and skincare treatments shouldn’t cost you a royal fortune, either. This session includes a 30-minute Full Consultation and a 60-min Custom Facial with your licensed aesthetician. During your 30-minute Full Consultation, your licensed aesthetician will ask you questions, educate you, and work with you to help you discover your individual path to gorgeous skin. Whether you’re suffering from oily skin, dryness, sun-damage, fine lines and wrinkles, acne, or hyper-pigmentation, we can help. You will also receive a 60-minute luxurious, relaxing, and healing Custom Facial. Your Custom Facial will draw your individual beauty to the surface, leaving you looking and feeling amazingly fresh, rejuvenated and positively glowing. Experience your very own Custom Facial today – you will love the results! Our skin is our largest defense against disease, and it is a reflection of our inner health. It’s the largest organ of the body, and just like our all of our organs, it should be treated with the utmost care. Our Licensed Aesthetician will meet with you as an expert consultant, listening to your needs, and examining relevant aspects of your cleansing practice, nutrition, and other lifestyle factors. During your consultation, your licensed aesthetician will establish a custom skincare regimen for your immediate and long-term goals. We are truly dedicated to providing you with a luxurious and renewing experience through the power of touch, while using the best skincare products available. We offer advanced skincare applied with professional expertise, and we use only the best skincare products in our services, because we want you to feel and see powerful results. Eminence is the #1 skincare line available today and has been for the past seven years. It is an organic “whole foods” diet for your skin. And PCA is broadly recognized as a leader in medical-grade nutrients for healing troublesome skin conditions. Facials can be given to almost anyone. Young, old, male or female, or somewhere in between – we all want to have healthy, vibrant skin. Healing House Custom Facials are unique. Treatment always includes the neck and decollete. Your Custom Facial also includes a relaxing massage on the arms, hands and, of course, therapeutic facial massage. All of our clients leave with a lighter, brighter complexion. Excellent results are mandatory; plain and simple. Advanced clinical-grade facials include deep pore cleansing so that the skin is properly prepared for maximum results from the products and treatments. Exfoliation, extractions, and nourishing hydration are routine. Your Custom Facial also includes a relaxing massage on the arms, hands and, of course, a therapeutic facial massage. Anti-aging facial treatments can boost collagen and visibly reduce fine lines, combining antioxidants and peptides that prevent the face, neck, and décolleté from premature aging. Additional extractions will be discussed with client if extra time will be required in the future. Also, more high-tech procedures such as High Frequency, peels and microdermabrasion will be discussed if they are deemed necessary. We recommend getting a Custom Facial every 3 to 4 weeks to promote a well-hydrated, clearer, and more balanced complexion. Your initial visit will include some paperwork, so please arrive 10 minutes early. This session includes a 60-minute luxurious, relaxing, and healing Custom Facial. Your Custom Facial will draw your individual beauty to the surface, leaving you looking and feeling amazingly fresh, rejuvenated and positively glowing. In this and each subsequent session, a customized, at-home skincare regimen is suggested along with helpful tips for your specific skin-type, so that you can maintain your excellent post-facial results. Experience your unique Custom Facial today – you deserve to look and feel your very best! 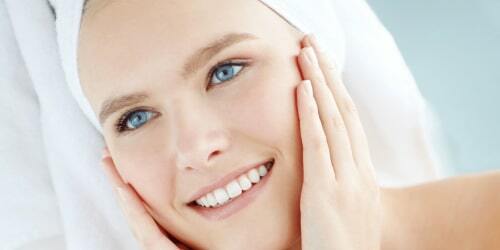 Your customized Acne Facial focuses entirely upon the treatment of your acne. Your Licensed Aesthetician will work magic on your acne, giving you immediate relief from your current flare-ups, and helping you to finally understand how to keep them from coming back. Your Acne Facial is going to consist of deep pore cleansing, extractions, and a calming and nourishing facial using exceptionally high-quality, innovative products to soothe your angry skin. Expect to leave with a much smoother texture and with a feeling of confidence about your skin that you haven’t felt in quite a while. Your customized Advanced Acne Facial will include a Full Consultation, a 60-minute facial focusing specifically on resolving you acne condition, as well as a High Frequency treatment. Your Licensed Aesthetician will work magic on your acne, giving you immediate relief from your current flare-ups, and helping you to finally understand how to keep them from coming back. Your Acne Facial is going to consist of deep pore cleansing, extractions, and a calming and nourishing facial using exceptionally high-quality, innovative products to soothe your angry skin. High Frequency medical technology will be utilized to help kill bacteria, flush toxins, and oxygenate injured tissues. Expect to leave with a much smoother texture and with a feeling of confidence about your skin that you haven’t felt in quite a while. If you would like to customize your session, it’s as easy as asking your Licensed Aesthetician to include an “Add-On” before she gets started on your facial. You may add up to 2 Add-Ons to any facial. This session includes a brief consultation and up to 30-minute high frequency treatment, depending on your needs. The powerful yet safe healing properties of High Frequency skincare therapy are well documented, and in time deliver an exceptional improvement to a host of skincare problems, including premature aging, acne, redness, puffy eyes, dark circles around the eyes, and heavy wrinkles. Our licensed Aesthetician will gently apply the oscillating current, generating a pleasant heat that oxygenates and cleanses the skin right down to the lymphatic level. When added to your regular regimen of custom facials, high frequency can be truly transformative. “High Frequency” medical devices generate an oscillating, electrical current that has been developed into a gentle and safe treatment for many types of skin conditions. Medical use for High Frequency was discovered in the 1800’s, and it was initially used in the treatment of bacterial infections like strep throat, but its use as an effective skincare treatment has absolutely skyrocketed in the modern era. The electrical stimulation produce by High Frequency treatments creates a thermal effect that warms the skin tissues, such that skincare products may penetrate deeper and be absorbed more effectively. It also strongly encourages skin repair and reconstruction; in fact, the technique has been shown in research studies to stimulate the renewal of your skin’s stem cells. It has also been shown to be beneficial for the skin’s complexion, as it both cleanses and increases blood circulation. The result is a more even tone and much improved overall appearance. High Frequency is well known for the treatment of tired, prematurely aging skin. It works by stimulating lymphatic drainage, which restores your skins underlying hydration. The oxygenating effects of High Frequency produces increased blood circulation. Tiny underlying blood vessels and muscle groups will be made to contract, helping to flush out toxins. This contraction effect also aids in the reduction of dark eye circles, which are a result of hemoglobin that has leaked out of broken capillaries under the eyes. High Frequency also helps tighten the eye muscles to eliminate that “puffy” look. This results in eyes that are brighter, fresher and of a more youthful appearance. High Frequency is also exceptionally useful in the treatment of acne. The oscillating current produces a gentle spray of oxygen molecules that penetrate deep into the areas that are affected by blackheads and enlarged pores. They clean out all the debris and toxins, control sebum production, and soften up the skin, which helps eliminate blackheads and reduce the size of enlarged pores. It cleanses the skin and safely kills bacteria and toxins that cause acne. It also improves the clarity and quality of your skin while providing lifting effects, creating more even texture and tone, and less redness. With consistent treatment, High Frequency can be a powerful tool for returning a refreshing and youthful appearance to your face. Some of these differences won’t be notice overnight – this is holistic medicine, after all. We do not want to damage your delicate skin in the process of helping it to heal. However, the improvements will continue to develop each time you get treatment, and changes with regular sessions can be dramatic. The esthetician was amazing! She was knowledgeable, asked the appropriate questions to find out about my skin before she started. The products were fabulous and it was a relaxing and smoothing experience! It was great and I will definitely go back it was great! Save 34% Off Facials at Healing House! What Happens After Your Facial New Patient Special? After your special, receive a custom facial, on-hour massage, follow-up acupuncture, follow-up nutrition, cupping & gua sha, or moxibustion for only $49.50 per session! Our Wellness Membership Program gives you a huge menu of holistic services at a discounted price.